This panorama from Lou Neff Point shows the Austin skyline just before sunrise. 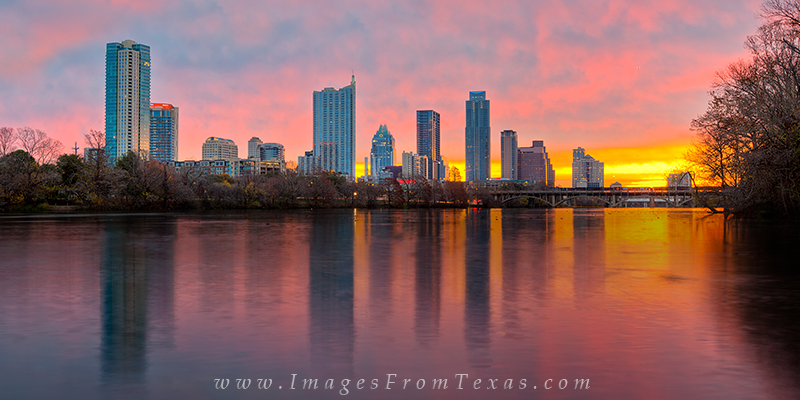 The sky is coming alive with pinks and pastels as first light spreads across Lady Bird Lake. Photo © copyright by Rob Greebon.